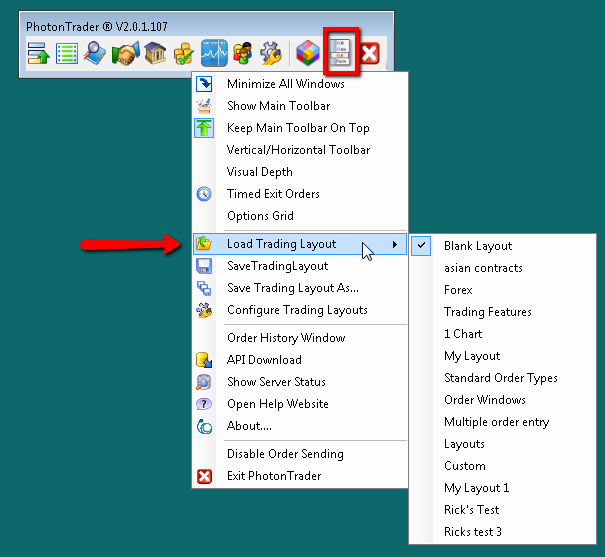 Demonstration of the Menu and Exit procedures for PhotonTrader. 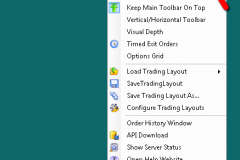 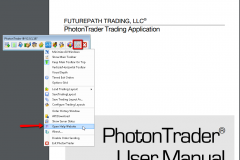 The main function of the Menu Icon is to Load, Save, and configure Trading Workspaces. 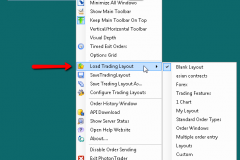 Layouts can be loaded from an existing menu of configurations that have already been created and saved. 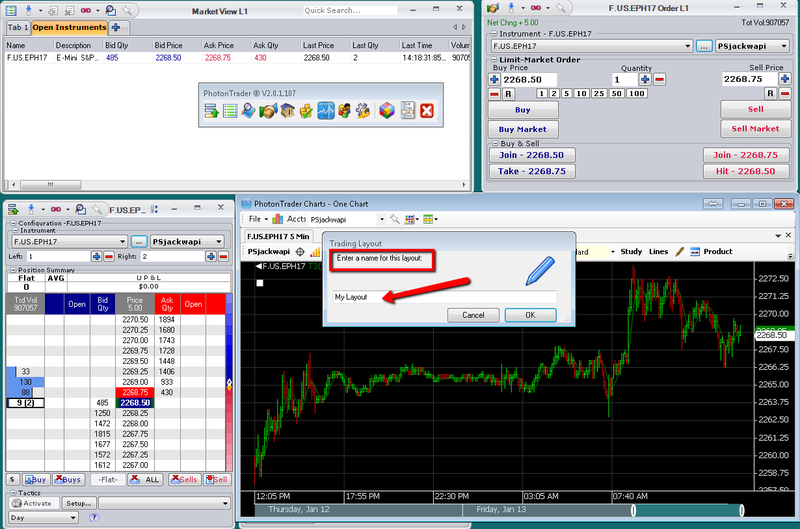 You can also save a modification of a current Layout, or save a current Layout under a new title. 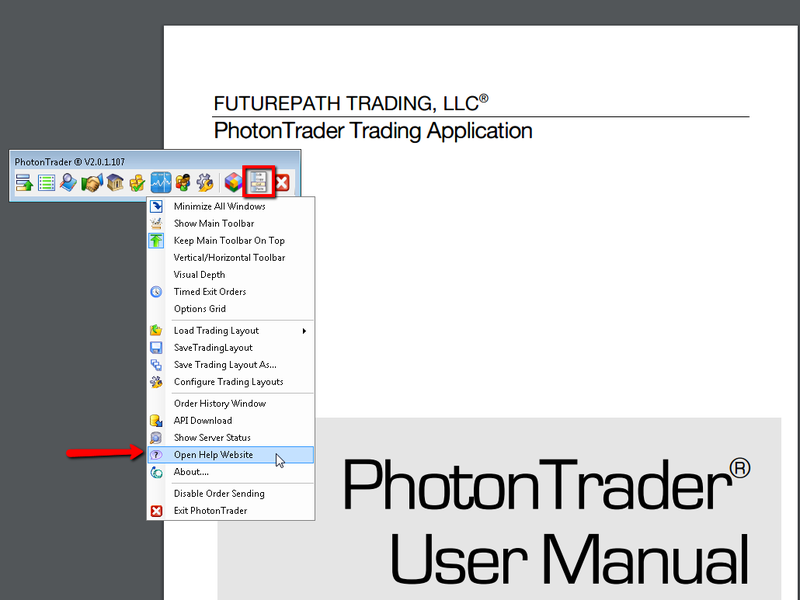 PhotonTrader® User Manual can be found as a .pdf file under the Open Help Website option. 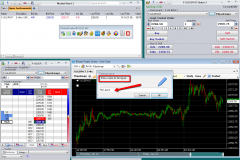 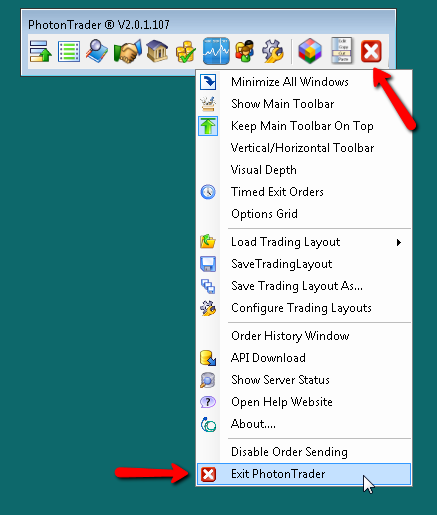 PhotonTrader® can be exited either from the Menu Icon, or the Exit Icon.